The future of casinos is yesterday, today and tomorrow. Try not to freak out. Nothing is happening right away. You actually see the future of gaming happening before your eyes every time you visit Las Vegas. The changes in the casino are more subtle than you’d imagine. Furthermore, the evolution of casinos has been taking place for the past few years. Step back and look at casinos today and compare them to what you saw 5, 10, 20 years ago. Forget what you’re reading in the mainstream media and just think about what you see. Casinos aren’t the same as they used to be. The games people play aren’t the same. The way the casino floors are set up aren’t the same. While the experience is similar, it’s not quite the same. When Whiskey Down opened at MGM Grand in 2013 there wasn’t much talk about it being a game changer. In a way, the lounge with six blackjack tables, seven video-poker machines, interactive gaming tables and a great whiskey selection paved the way for other gaming lounges and bars. Today you might consider Whiskey Down a game changer. Similar gaming spaces being created all over Las Vegas that are similar but different. The Linq casino opened in 2014 and has 3 very different gaming bars and lounges with Tag, 3535 and O’Sheas. Each gaming space offers a relatively traditional gaming environment in an adult beverage setting. Tag bar might be the most different. This space has electronic table games, which is a technological step forward from the traditional table games we all know. 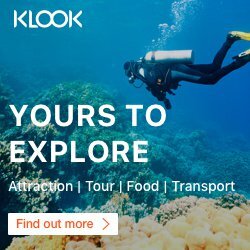 Younger travellers (call them millennials if you like) are looking for unique experiences. Traditional casino games certainly offer that for some people. However, there are casinos with slot machines and table games all over the country. The traditional casino experience isn’t all that unique if you can do it an hour or two away from home. What is setting Las Vegas casinos apart from locals casinos all over the country is the unique experience. Unlike most casinos in America, you can do a little gambling and see Britney or Celine, dine at the highest rated restaurants visit the best nightclubs in the world and more. In order for the casino to be special, it must also offer an experience you can’t get elsewhere. The gaming lounges of today are different than you’ll find at casinos in most cities. In time, casinos around the country will continue to evolve and catch up with Las Vegas. The casino operators in Las Vegas know this and are constantly looking for ways to offer a unique experience that you can’t do in your local casino. While physical casino spaces in Las Vegas will continue to evolve so will the games. You no longer have to visit a sports book if you want to wager on a game. You can download and fund an app then wager on games from anywhere in the state of Nevada. You don’t even have to visit the sports book to be paid if you win. The funds will go right to your mobile account. The ability to wager on a game from the comfort of a poolside cabana, bar, restaurant, your hotel room or anywhere in the state is becoming more popular every day. Last week MGM Resorts International took mobile wagering another step forward with the introduction of easyPLAY® mobile slot tournaments. Unlike the sports wagering app, you can only participate in the easyPLAY® tournaments while you’re at an MGM Resorts property and connected to their wifi. You can participate in the tournaments anywhere on property that you can bring a mobile device. If you don’t want to use your battery or want to grab a drink you can participate at one of the interactive tables at bars, restaurants and sports books. Unlike social slot games, the easyPLAY® slot tournaments will pay real money to winners. This is more of a passive casino game right now with a low barrier of entry. As the tournaments are just beginning entry fees are $1 to $5. That could increase over time as more people are playing the game. Visit easyplay.vegas for more information or to just play practice games for fun. Traditional casino games may never go away but how and where you can bet continues to evolve. Those who enjoy gambling the way they once did, can still enjoy that. You can find traditional games in new environments if that’s your preference. If you’re looking for something in between slot machines and traditional table games you can find that with an electronic table game. Long rows of slot machines and tables aren’t in vogue. Even the casino floor is changing to create smaller, more intimate areas. You no longer have to be confined to the casino floor to have some kind of gambling action. You can wager on sports anywhere in the state or you can participate in easyPLAY® slot tournaments anywhere at MGM Resorts International properties. Evolution doesn’t mean destruction. The results of evolution can be a gradual development from something simple to something new and different. Las Vegas resorts have been gradually evolving over the years. Casino gaming may be on the last car of the train but they’re always in for the ride. Las Vegas resorts react to demand. If customers want outdoor spaces then the casinos will offer mobile gaming. If they want fancy cocktails, they’ll offer fancy cocktails. Don’t expect traditional casinos to go away overnight. An entirely different experience isn’t around the corner. However, today’s casinos don’t look the same as a 1990’s casino and they won’t look the same in 2036 as they do today.